I have wanted to go to a bloggers convention for a while now. My top picks were either the Healthy Living Summit or Fitbloggin. Honestly, I’m not even too sure if there are any other ones…you can just blame my whole “I get fixated on a certain thing and run with it” personality. The whole idea of going to a blogging convention is pretty awesome, at least in my humble opinion. But that is all based off of the numerous recap posts I have read. 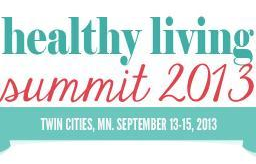 But this year I would love to attend the Healthy Living Summit. This year it is in the Twin Cities. I am super excited for that. Theoretically I could just hope Lake Michigan and drive 2 hours… but I’m not too fond of riding in a boat, no matter how cool the SS Badger is. Haha. The neatest thing for me is that I submitted a proposal to possibly be a speaker at the summit. That is what I am really excited about. I submitted my sorry excuse for a proposal nearly a month ago and have been waiting not-so-patiently to see if I have been chosen. Me? Being excited to possibly give a speech? Nawwwww. The “chosen ones” will hear from the lovely group who do HLS within the next couple of days. Of course, I’m just assuming since the cut off date is March 15… but hey. Works for me. So I’ve got all my fingers crossed in hopes that I get to talk. 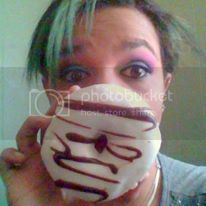 And if by going off this blog at all, you all know how much I love to talk. But we’ll see. Honestly, even if I don’t get chosen, I would still love to go. I’m thinking it will be fantastic. So, I have been stalking my email for any signs of new emails just in case. We’ll see…and wish my luck! But today is always my weigh in day… drum roll please. Not that much, sure…but I’m on the right path. I’m out of 185 range. Yay. Finally. Thankfully. It just goes to show how long I have been around or above that 184 marker. Oh, since my birthday. Wayyyy back in the beginning of October. You all know I had that period where I gained some weight…on top of my scale being a massive jerk. So yeah. I’m excited to be under that 185 again. Sure, sure, it’s only .2 of a pound under (not really enough to count…) but just seeing the number is good enough for me. So here’s to continuing this downward trend. Can it be a trend if it’s less than a pound collectively? Who knows. But I can’t wait to get out of this 180 range. I’ve been seeing those numbers way too long, I keep telling myself it’s better than when I was seeing into the 190s again. But we’ll see. So, hopefully my numbers will be better next week, and hopefully I’ll see some of you at HLS#13 as a speaker!